Hello, and happy almost weekend to you. 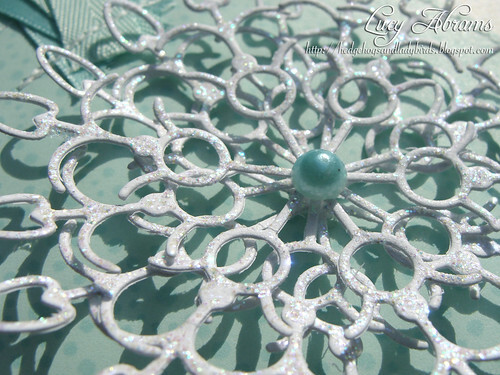 I have a sparkly Christmas card for you today, created with THIS fab snowflake die by Simon Says Stamp. I cut 3 snowflakes from white card, covered with Stickles then assembled on top of each other, using a tiny glue dot between each layer which I then hid with the pearl. 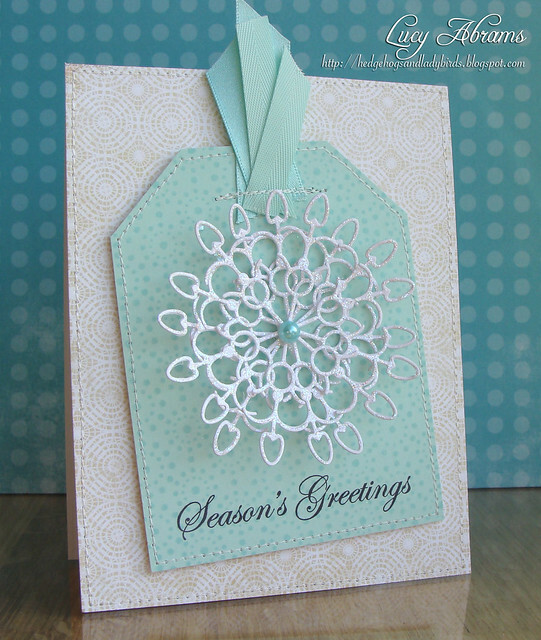 The background was stamped with my favourite background stamp, Snow Dots, and the sentiment is from THIS set. Love that elegant script. The pretty patterned paper is from THIS pad. Oh my word this is gorgeous!! I love every detail, especialy how you stitched the ribbon onto the tag! Absolutely gorgeous! Love the ribbon and stitching details! !